curated by—What Do We Believe In? Rózsa Zita Farkas is a writer and curator based in London. She has co-curated independent projects including "The Posthuman Era Became a Girl" and "Re-Materialising Feminism", amongst others. For this year’s curated by_vienna she has conceived the show "Rehearsals in Instability", which is on view at Galerie Andreas Huber. Sidsel Meineche Hansen, Seroquel ®, 2014. 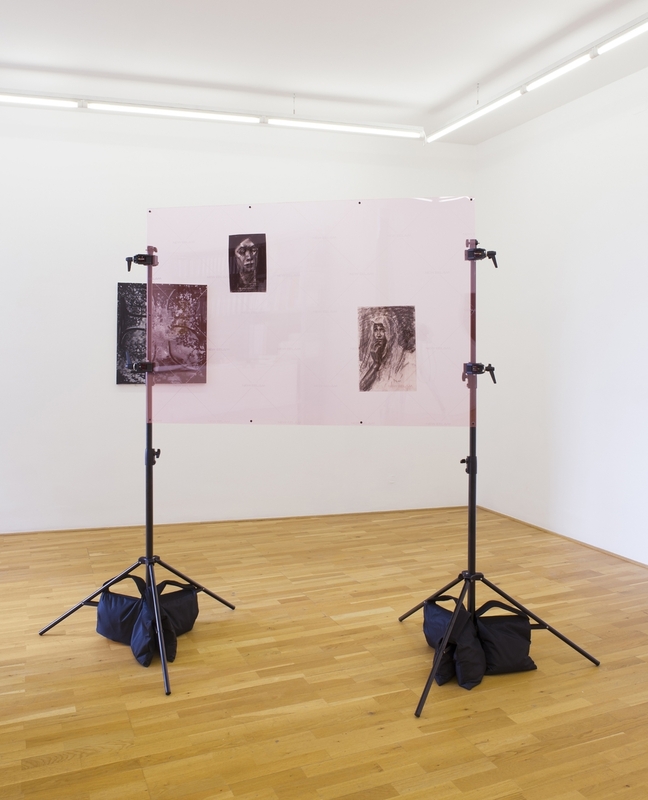 Installation view Galerie Andreas Huber. Photo: Stefan Lux. What were your first thoughts when reading Armen Avanessian’s text titled "Tomorrow Today" that gave the impetus for curated by_vienna 2015 and its thematic focus on art and capitalism? The word which really stuck out was the term post-capitalism, and I guess what stuck with me was the positivity of the text, probably because I’m an eternal cynic. For me, my response was that I didn’t share this belief that we are moving towards post-capitalism; there is too much violence and struggle in the world for me to feel as hopeful. So your answer is the exhibition "Rehearsals in Instability". What is the plot of the show? The thing which I took from Armen’s text was that since the crash the state of things in the West has drastically changed, and I wanted to show artists who highlight the small ways in which these changes are endemic, various, and subtle. Although I don’t believe that we are necessarily moving towards post-capitalism, I would agree that means of opposition are changing, and that capitalism as an end point is being questioned more than ever. So the idea of instability nods a socio-political context. Instability can be both dangerous and rewarding. Europe has become more right wing post-2008, and if we can go right so quickly we can go left again. However living on a day-to-day basis within an unstable environment means that labour and capital travel into more spaces, take on new and different forms. The artists in different ways highlight this instability – the day to day mutations of current capitalism, be that the pharmaco-affective labour shown in Sidsel Meineche Hansen’s video work, the micro economies and start-up culture attitudes revealed by Maja Cule, or the ensuing privatisation of public space that is inferred when we look at the work of Richard Nikl. Emily Jones, All power emanates from the people, 2015. Wall Installation, brushed Aluminium Dibond, 250 x 250 x 0,3 cm (text 125 x 30 x 0,3 cm). Installation view Galerie Andreas Huber. Photo: Stefan Lux. Installation view Galerie Andreas Huber with works by Richard Nikl. Photo: Stefan Lux. In your text about the exhibition you mention that it is disbelief in the current state of capitalism that characterizes the works presented here. How does this disbelief show, for example with regard to the paintings by Charlie Woolley and the video installation by Sidsel Meineche Hansen? 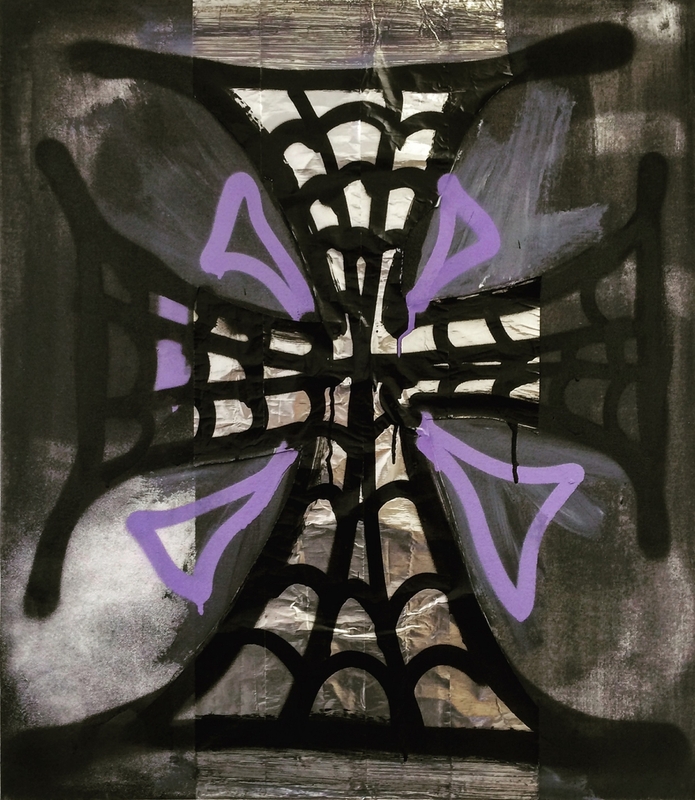 Woolley’s paintings reify countercultural symbols such as the gothic cross, using aluminium on the work implies some form of value, of preciousness, it reminds us of how counterculture is so quickly and rapidly subsumed by the mainstream – Dubstep in the UK was very different in 2007 to how it is now in the US in 2015, Miley Cyrus twerking is very different to twerking as a dance form in New Orleans. This reminder demonstrates the rampant journey of capital, capitalism as a sustainable process has to continue to take territory, when we think of how quickly it is currently adopting any "outside" inwards, we wonder how sustainable the model of continual colonisation really is. Meineche Hansen’s work is much more about the subject, how the subject is groomed, produced, expected to be constantly functioning and effective, how the pharmaceutical industry is poised perfectly in place, not only to curate the subject but to keep the subject as a consumer for life. I watch the video and think, how long until that subject cracks? Left: Charlie Woolley, Cross (1), 2015. Acrylic and Spray Paint on Canvas, 69 x 79 x 2 cm. Courtesy: the artist. Right: Installation view Galerie Andreas Huber with a work by Christopher Kulendran Thomas. Photo: Stefan Lux. The installation by Christopher Kulendran Thomas, which is as well on view here, is not so easy to understand. Could you please explain the work? Kulendran Thomas’ work is in the vein of much of his previous work in that he in one fell swoop shows two of the industries that have emerged out of the genocide in Sri Lanka: factories for various things (such as Nike Clothing etc.) and a burgeoning contemporary art market. He shows the imperialistic mind set of how we view art, by placing Sri Lankan artists’ work into different materials – making it his own work but also making it "look contemporary" to the Western eye. The difference with this piece in particular is that it is the start of a series of pieces from the artist’s new project that explores the possibilities of New Eelam. Eelam is a proposed independent Tamil state, Kulendran Thomas with this work thinks about how that state can be visualised as a network, dealing with Tamil diaspora and existing without the physical land that Eelam is traditionally proposed as. When you look at the piece you see the work of others through the tinted perspex, I read this as a metaphor for how New Eelam, a nationless state, would exist as a network, on top of something else. What are currently the most urgent questions for you as a curator? I think that curating is about choosing great work, giving artists a good platform, and developing relationships with the artists as much as possible in order to understand their work. I guess the most urgent question for me is always how to curate something that is readable to an audience whilst also staying true to each individual artist’s work. That is why group exhibitions are so difficult in many ways. I also think that funding is a big issue, of course – for everyone in the arts it seems, not just curators – in particular if you want to work in a way that doesn’t leave you beholden to one institution and it’s ideology. Have you been to Vienna before? How do you feel about the city?